Bookings for our next supper club are now open. 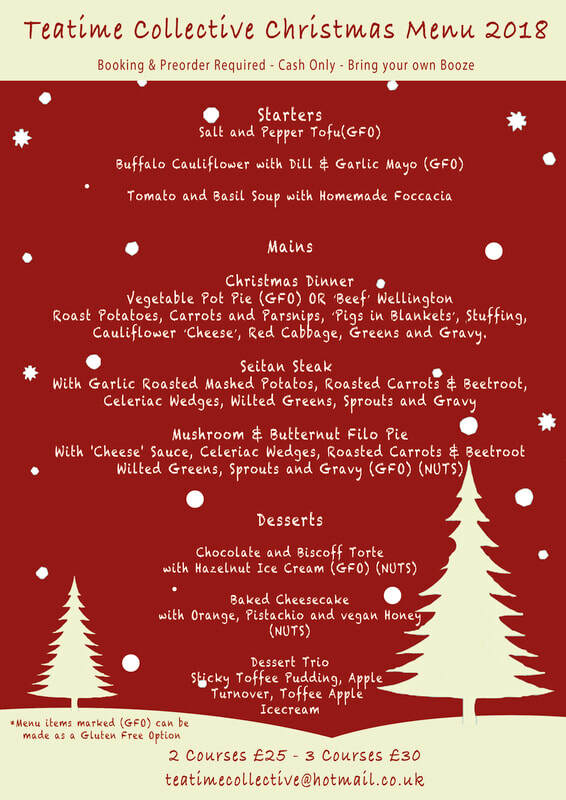 The supper club will run from the 1st-24th Dec and is available to book as a group of 8+, we will also have smaller table evenings on the 19/20/21 December. The dinner will be held at our old cafe in Hulme. We have a converted shipping container as our dining room, decorated of course! If you book as a group of 8+ you will have the whole room to yourself for the evening for your own private dinner party! If you book for our small tables night, you will be sharing with other diners, we have two sittings 6.00pm or 8.30pm. Booking is required, as is a pre-order around 5 days before. It is bring your own booze, glasses are provided as well as christmas crackers and nibbles on arrival and we can also only accept cash.